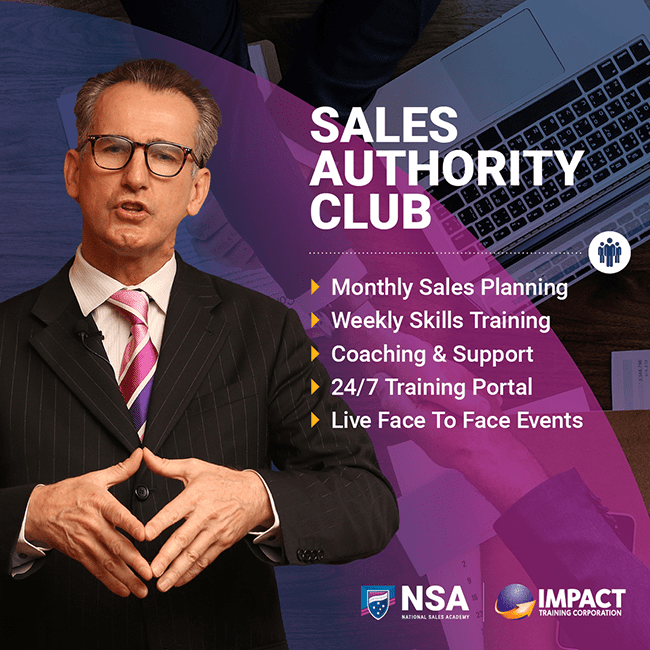 The Sales Authority Club includes the online course but takes it a step further with on-going monthly group training, accountability sessions, fortnightly weekly implementation calls and more. There will be 4 live events throughout the year for an in-depth intensive training and focused on soft skills as this is easier to learn face to face. This is perfect if you are serious about mastering your sales and to get your sales team actively involved. I have implemented everything that Dr J has taught me, and I’m now the National Sales Manager for one of the leading fitness companies in the country. I first met Steve when I started out in the Fitness Industry in 2007. At the time, Steve taught me everything I knew about sales and communication. He also instilled in me the importance of continuous education and personal development, which has allowed me to continue to grow far beyond a point that I ever thought possible. The skills and knowledge that Steve imparted with me have created many opportunities for me and my career. Not only that, they’ve had a profound impact on me personally too. Steve is an amazing coach and mentor, but more importantly a great friend and a good bloke. Steve always dedicates so much time and effort to ensure he delivered exactly what I need. We had several days where we dissected all of our current processes and planned what direction the business was heading in, and its needs moving forward. There is not a day or time Steve isn’t there to support me. The training sessions were filled with so much energy and motivation! The teams had an absolute ball, took away an abundance of knowledge, and raved about it for weeks! After our training in September, the team had a record month in October with 187 sales! And, we are tracking another record month for November! The skills that I learnt from working with NSA, Impact & Steve allowed me to do what I love and become, now one of the highest paid people in my industry doing it. They have also given me the opportunity and confidence to go out on my own and create my own business. On a personal level, my relationships have never been stronger. There is no-one like Steve Jensen. He believes in you even when you don't believe in yourself. He pushes you to be your best, even when you think you cannot go any further. He will be gentle and respectful, though will give you a polite smashing if you need it. He genuinely cares about the outcomes you receive and ensuring you reach your goals. Just be prepared for your goal posts to move around to make you even more successful. Take action and organise your very own complimentary Sales Growth Plan (Valued at $295) with one of our Mentors, click the button below to claim your free session and we'll be in contact soon.